Adrenalin is already bubbling all around in my body as I anticipate the Mom Heart conferences this year. I just love women. I love that they love well, make close friendships, champion ideals and are so much fun. When Clay and I conceived of our ministry to moms over 20 years ago, and then hosted our first conference, it was out of a belief that if moms needed support systems, friendships, Biblical vision and encouragement in order to stay strong in the Biblical ideals of motherhood. Our dream was to build a minister that would strengthen families and inspire moms to leave a godly legacy through their homes. I knew mamas needed this kind of friendship and support because I longed for it so much. Fast forward over 2 decades later and everything we have done as a ministry has been to build these support systems in many ways--through books, conferences, web conferences, leadership trainings. 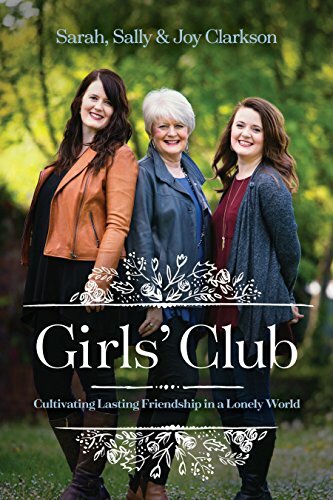 But one of the dreams closest to our hearts was to help women start Mom Heart Small groups all over the world in their own towns, churches, neighborhoods. How exciting it has been to see over 1000 groups form. Today, we are launching a ministry blog to help women know how to start groups, how to encourage women and how to find each other. One of the biggest blessings of being in ministry all these years is to see how God has raised up friends and partners in this ministry who can do so much more than I could ever do alone. Let me introduce you to Jennie, a precious friend, who will be running this blog and running the Facebook group, so that women like you can find help, encouragement and inspiration to start a group right where they are. I am so excited to be part of the new Mom Heart Website and Blog. I will be here to inspire and help you form new groups in your local areas, solve problems that may arise in your groups, and encourage you in your own walks, both as leaders and mothers. As a teenager God specifically called me to raise up and encourage small group leaders, so I am privileged and thrilled to play a part here. There is no better ministry for me to walk out this calling than Mom Heart. Sally and I have been friends for several years now, and I have been challenged and have grown immensely through Intensive Leader Training in her home. I am eager to serve you in the same ways she has served me! Over the next several weeks, I will be highlighting different areas of the site so that you don't miss out on anything. Expect posts here about twice a week. If you have any questions related to Mom Heart Ministry or Leadership, please visit the "About Us" page and send us a note. I look forward to helping you begin or continue in ministry with local mothers in your communities. You Can Make a Difference We live in a rapidly secularizing culture that is losing its heart for biblical motherhood. For over two decades, Sally Clarkson has called mothers back to God’s design, driven by her passion to restore moms’ hearts to God’s heart for motherhood. Taking Motherhood to Hearts will give you a picture for how to join her by starting, leading, and tending your own Mom Heart small group. In this book you will find inspirational “why to” vision, practical “how to” advice, and motivational “can do” encouragement. Motherhood is more than just a biblical duty; it is a ministry of discipleship. 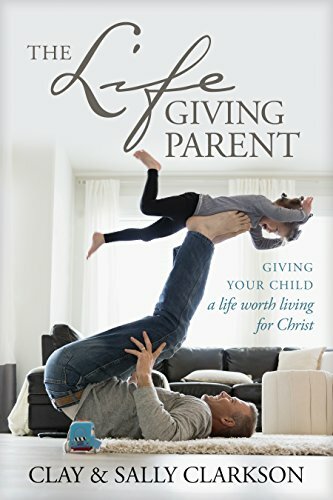 This book will show you how to have a meaningful ministry to moms that will make a difference for eternity. I am so excited to share this new study guide and planner that will be perfect to use in small groups, and personally for planning each month of the year to make your home a Lifegiving place. It is filled with personal stories about my home, gives space to plan your own home and each month--what days you will celebrate. It’s time to plan some unforgettable moments with your family! 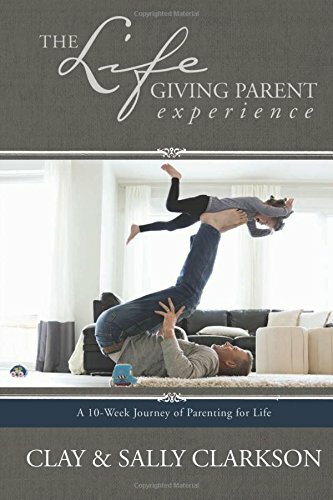 Containing sections for each month of the year, this companion resource to The Lifegiving Home is a planner full of creative ideas that will help you be intentional about creating times and spaces for your family to relax, celebrate, and simply enjoy one another all year long. You’ll learn how to cultivate special times that will speak to your family’s hearts . . . and inspire cherished memories that you will all treasure. To celebrate our new blog launch, I want to give away 10 study guides and 5 pdf's of The Lifegiving Home Experience. Please go to the new blog and then leave a comment here and share it on Facebook and twitter and let me know what you think about something you found on the blog or how you think this ministry blog might help you. We would love for you to join our community of small group Bible studies and enjoy new friends and fellowship. Remember, You never know what God might do if you take initiative, step out in faith and see how He may use you to change your world. Everyone needs a support group. How about a new group in 2016?